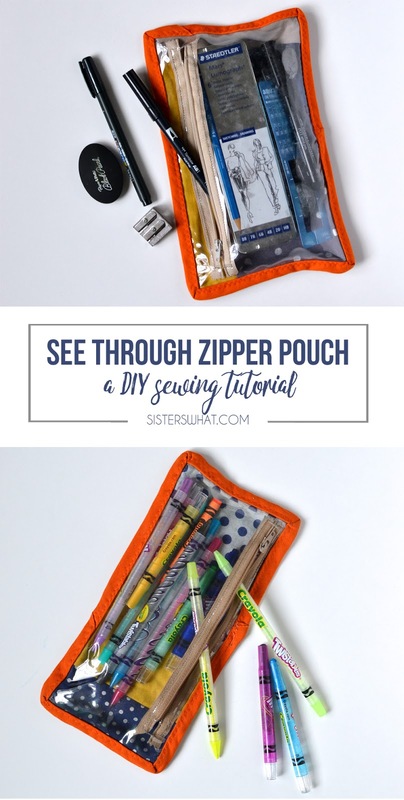 ' See-Through Zipper Pouch Tutorial - Sisters, What! I had to do something to keep me sane. These see through zipper pouches were one of those projects. They're probably my favorite and most satisfying sewing projects this year. 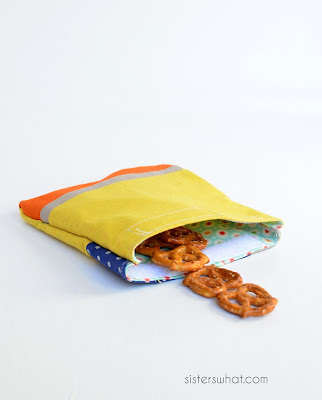 They were easy to make and they were a perfect use for my hoarding pile of scrap fabrics. I love projects that I can use my scraps on. 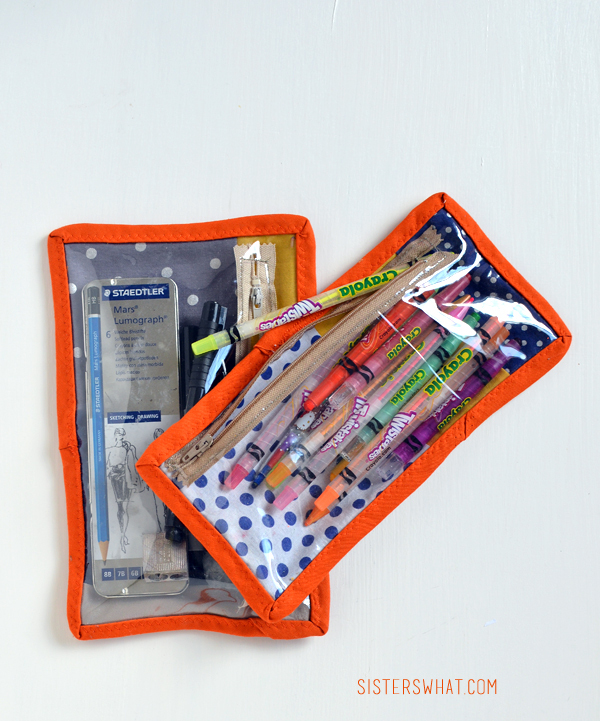 If your a scrap hoarder like me, then these see through zipper pouches are for you! 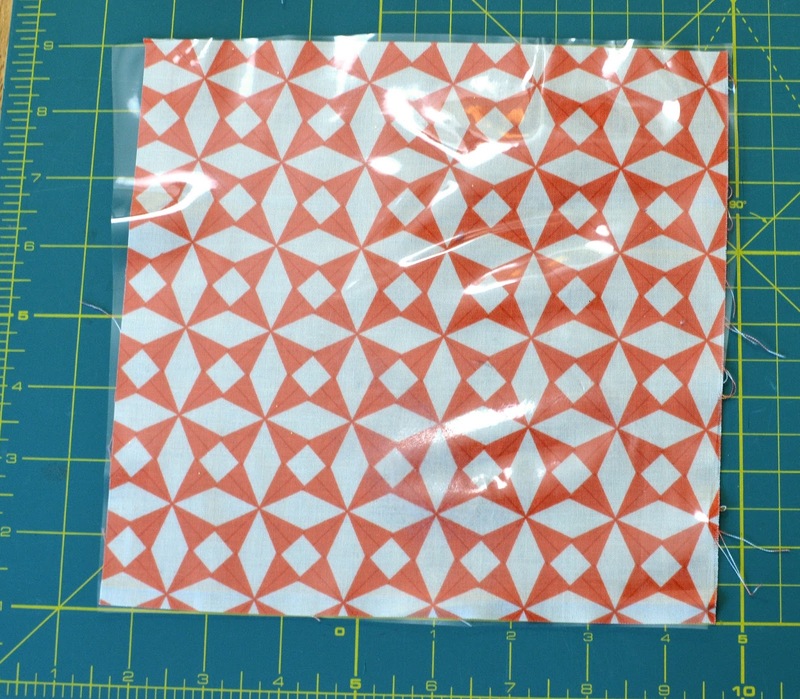 ||1|| Cut two pieces of fabric and one clear plastic piece to the same size (one fabric piece will be the outside of pouch and the other fabric piece will be the inside what you can see through plastic). The great thing about this project is you can use scraps and cut it to whatever size you want. 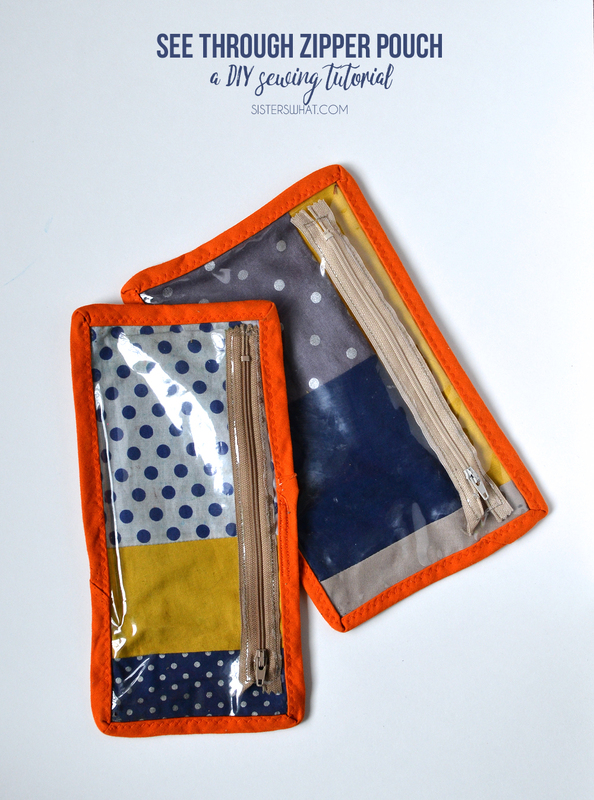 If you want to use your small scraps up, sew them together then cut your plastic to that size. 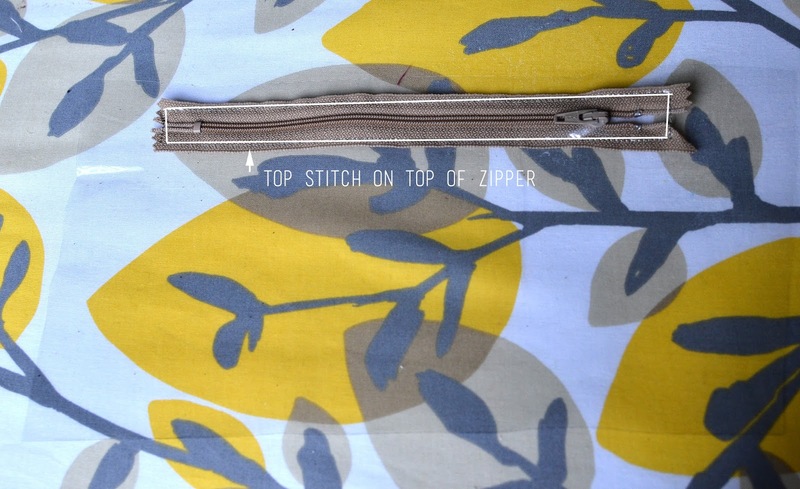 ||2|| place zipper under plastic piece and top stitch the zipper to the plastic. 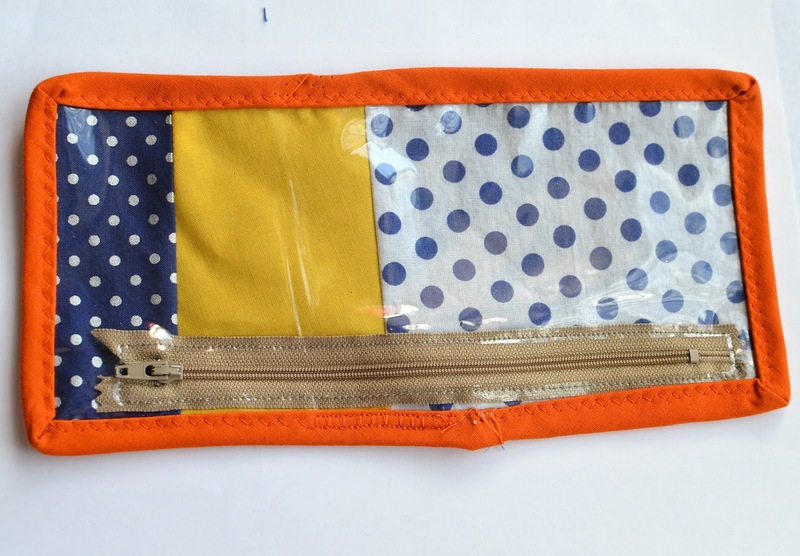 Within the area you sewed, carefully cut the plastic to reveal the zipper. ||3|| Now take your bottom fabric piece and place it right down, then place your top fabric place on top of that wrong side touching bottom fabric piece. 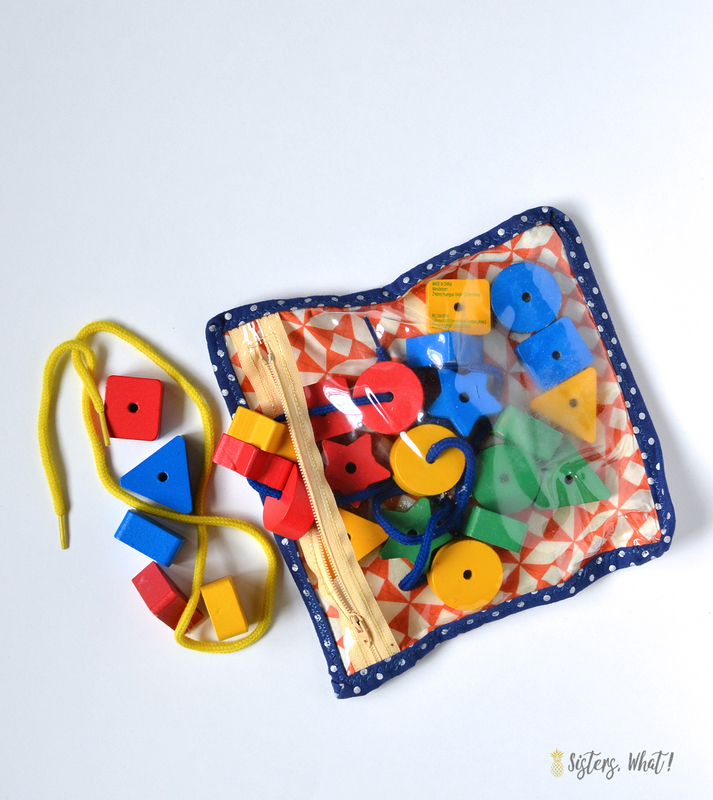 Lastly, place your plastic piece on top. Around the edges, sew all the layers together. 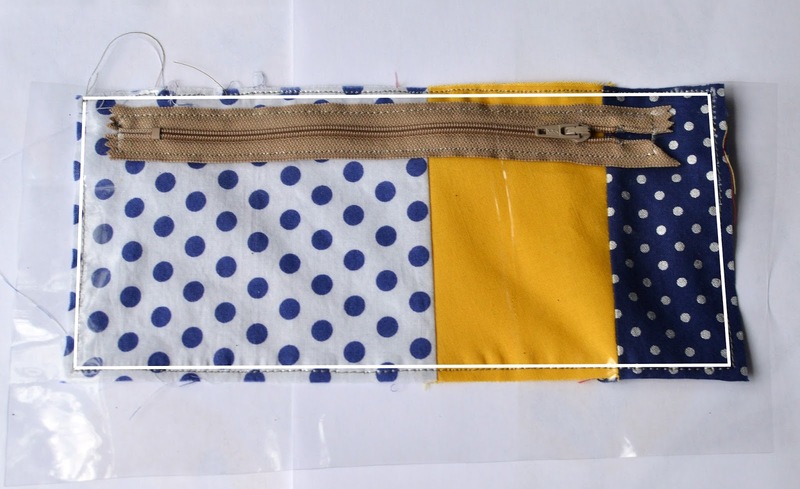 ||4|| Now take your bias tape and match the edges up to the edges of the pouch and sew it on. 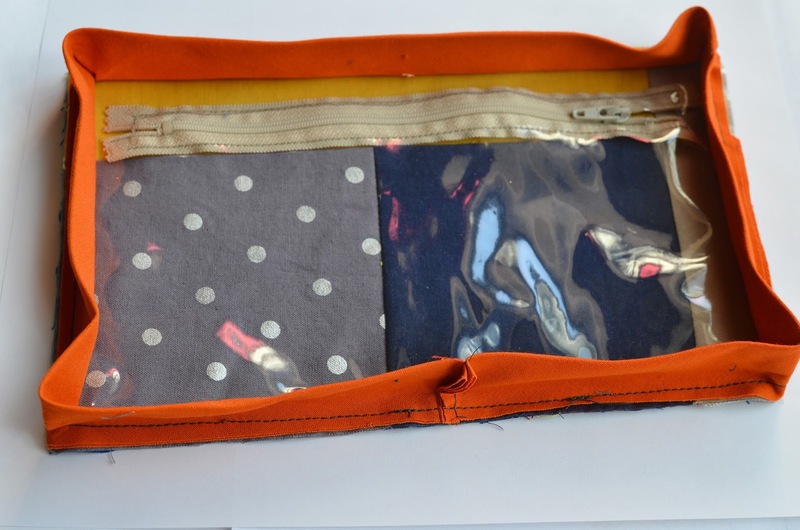 Then turn the binding over the pouch and the top stitch it on. 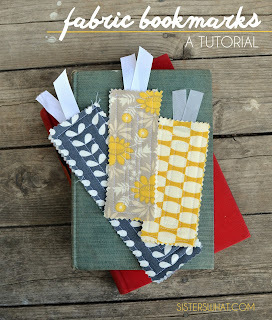 Go HERE for a more detail tutorial on adding binding . 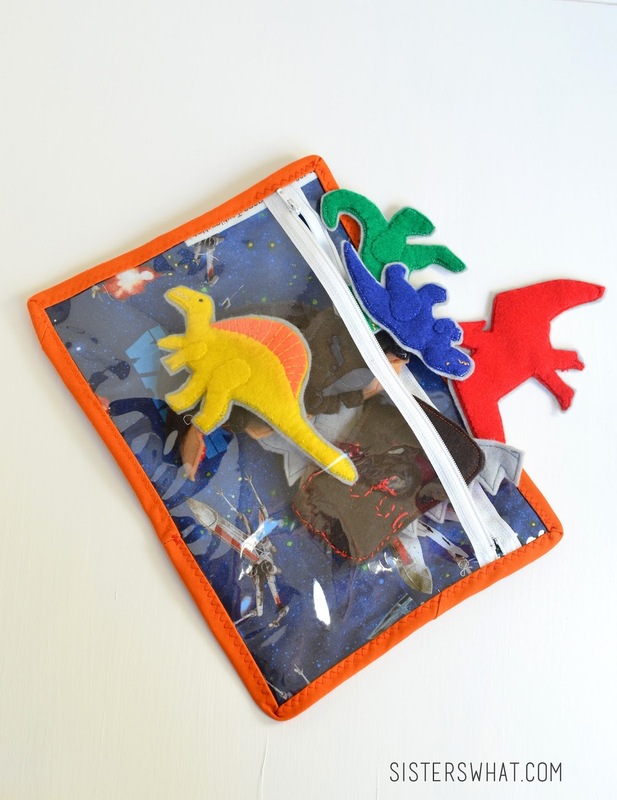 And of course, Captain Awesome requested a Star Wars bag for him for his Dinosaurs. In his universe, dinosaurs and Jedi mingle together. Honestly though, some of the Star Wars creatures make dinosaurs look very domestic. 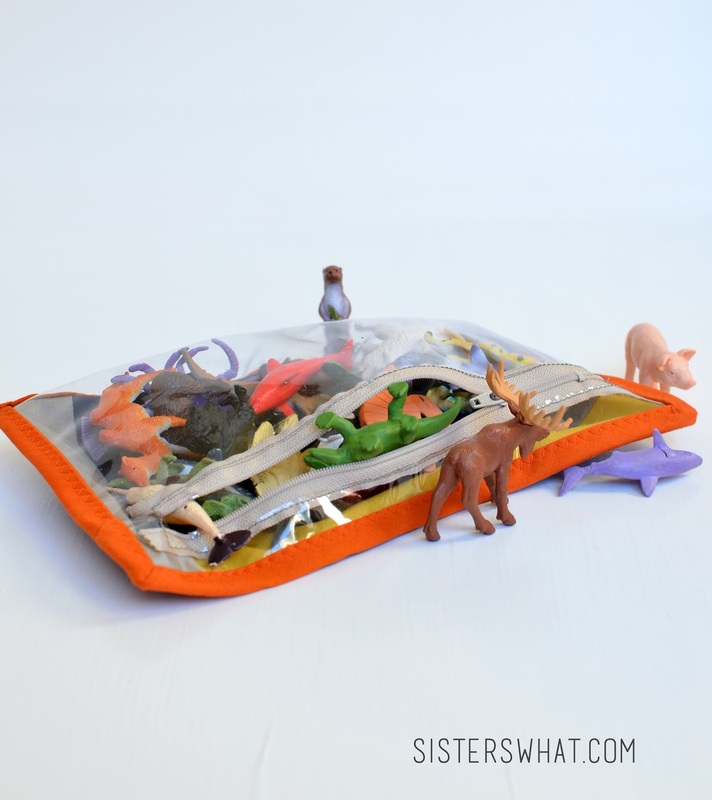 And of course, one of the bags soon became home to his little animals as well. 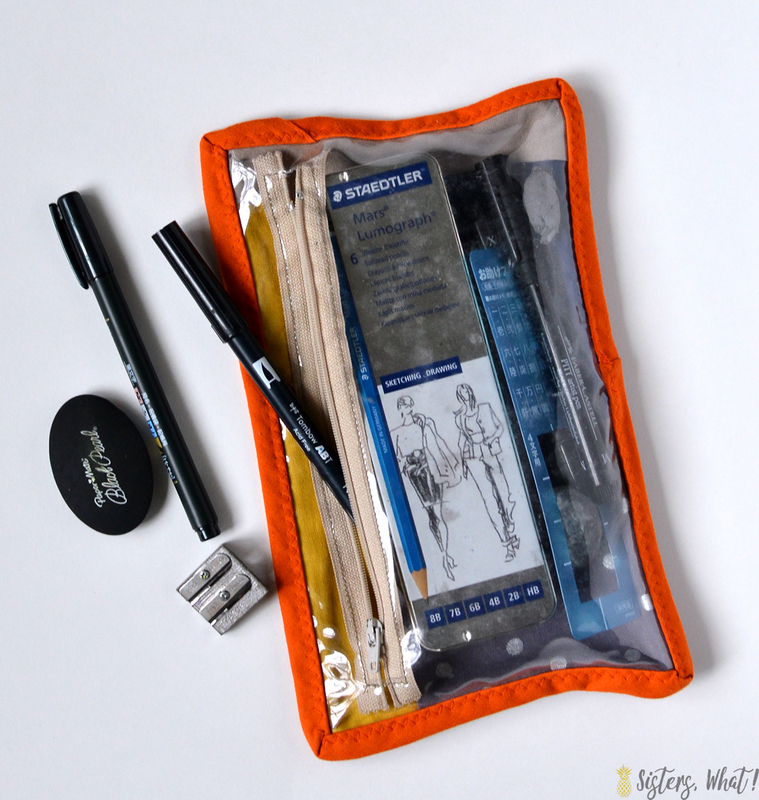 What would you put in your see through zipper pouches? This is awesome! We have so many toys that this would work perfect for!! Thanks for sharing this at Bewitchin' Projects block party! I hope you will join us agin this Sunday! !